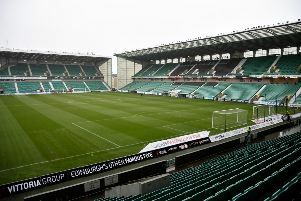 Hibs made it six wins on the trot as they beat Hamilton 3-1 in the Reserve League. Goals by Fraser Murray, Lewis Allan and Jamie Gullan gave the Hibees full points at the Hope CBD Stadium. Hibs, who named AFC Wimbledon midfielder Kosta Sparta on the bench as a trialist, got off to the perfect start after just two minutes when the ball struck Fraser Murray on the back before crossing the line. Allan made it two on the half-hour, firing home the rebound after Ben Stirling’s shot was saved. Accies pulled a goal back on the stroke of half-time as Alex Penny smashed a shot home. 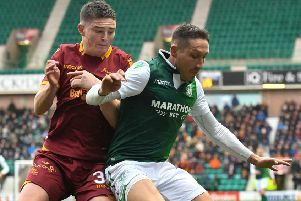 Gullan restored Hibs’ two-goal advantage six minutes after half-time following a fine passing move and the visitors held on to that lead. Hibs: Dabrowski, Stirling, Donaldson, Waugh, Sadiki, Campbell, I Murray, Block, Allan, Gullan, F Murray. Subs: Martin, Paton, O’Connor, Woods, Shanley, Trialist. • This article was compiled using updates on the offical Hibs Twitter account.